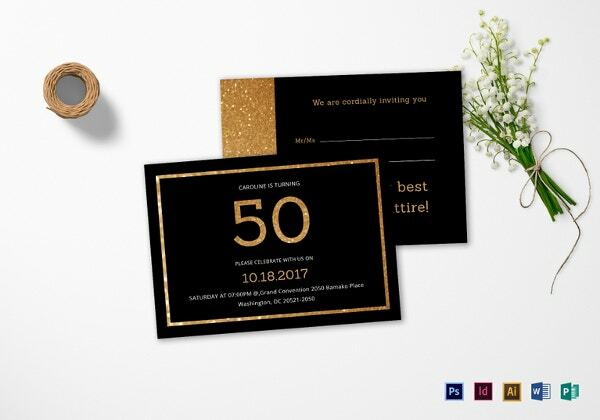 If you’re hosting a big party which has a tall guest-list, you’re obviously going to send out invitations. 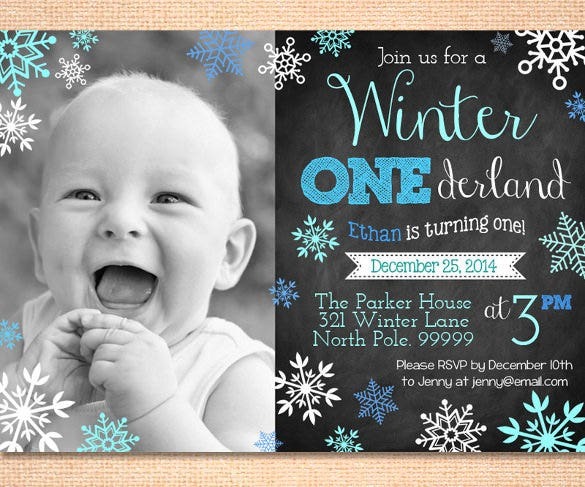 Making a birthday invite is time-consuming, but not anymore. 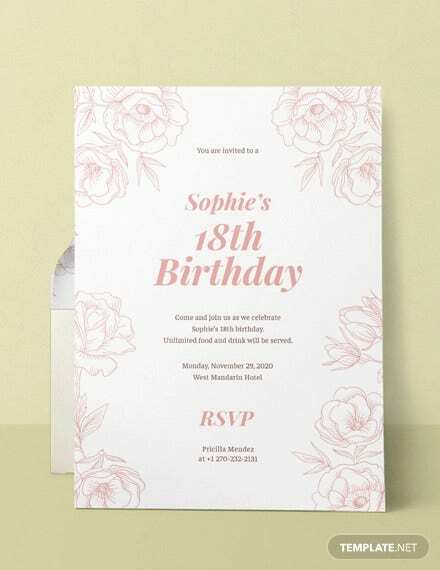 We have here for you attractive birthday invitation templates which you need to Download, Personalize, Print, and Send. It’s that simple! 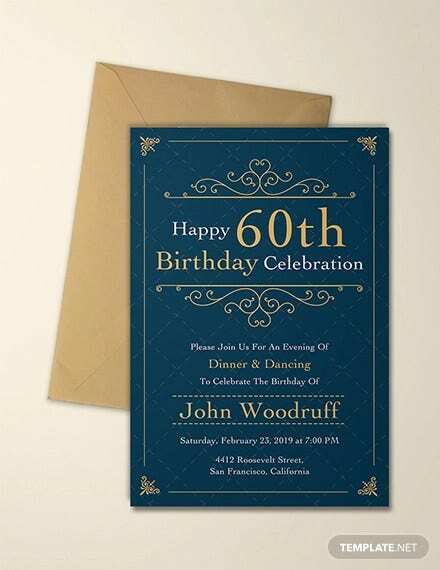 If you have no time to create a birthday invitation card for an upcoming birthday party in your home, you can go for a free birthday invitation template word sample. 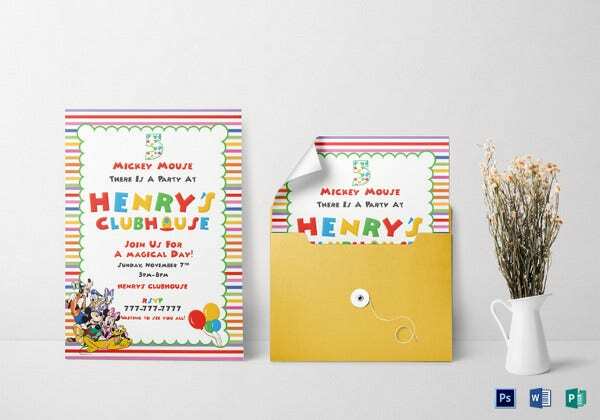 These invitation templates come up with nice wordings and illustrations – and are available for kids or adults alike. You will even get free of cost word doc download templates. A birthday invitation design for an adult person is obviously going to be different. 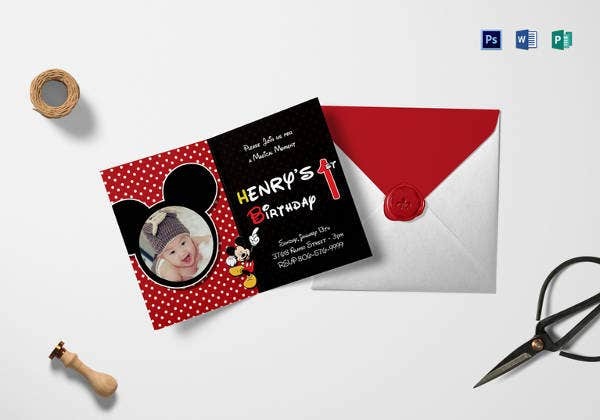 We have here for you a selection of some of the most creative and splendid templates which would match very well with the grown-up birthday boys and girls! There’s one which has vintage theme, another has a Wild West vibe – to name a few. 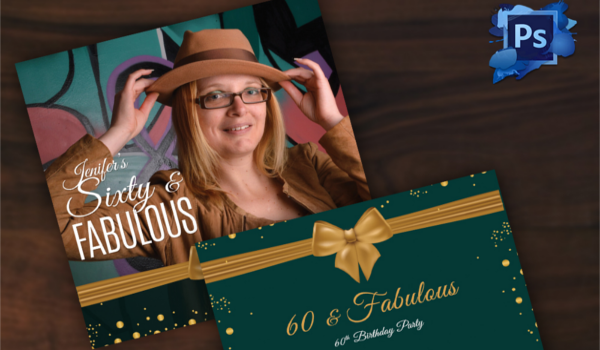 A 60th birthday invitation template sample can be many and varied ranging from classy with old wine glasses to emotional with family pictures to fun & naughty. 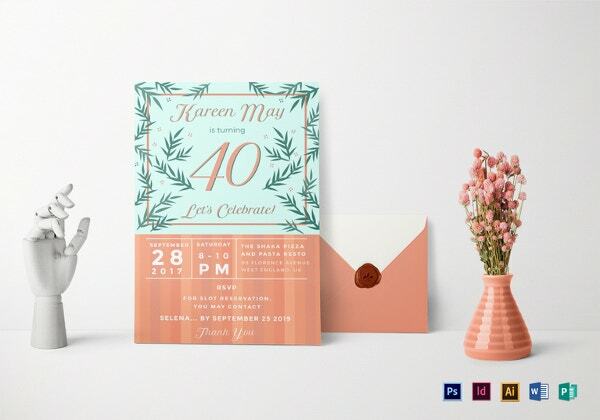 Some of these invitation templates will allow you to upload a picture of the person today & also that of the yester years or from childhood to showcase the long journey. 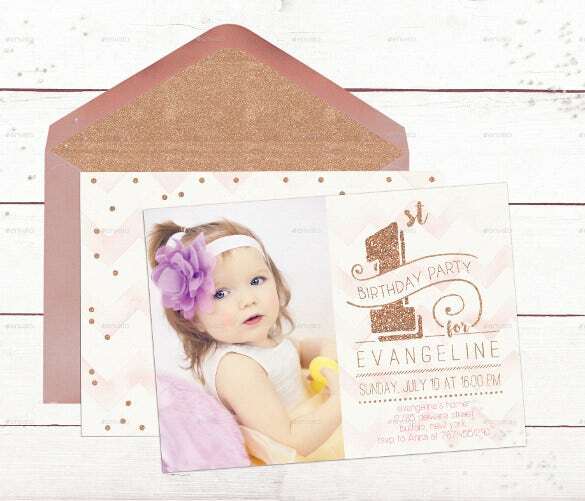 A first birthday invitation template has got to reflect the parent’s pride and happiness as they gear up to celebrate their toddler’s first year of life. 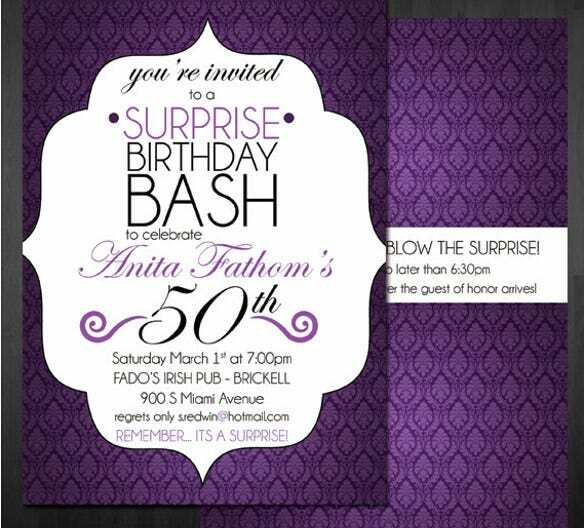 The celebration is definitely going to be a big one, and it makes sense to put the same feel onto the birthday invite. 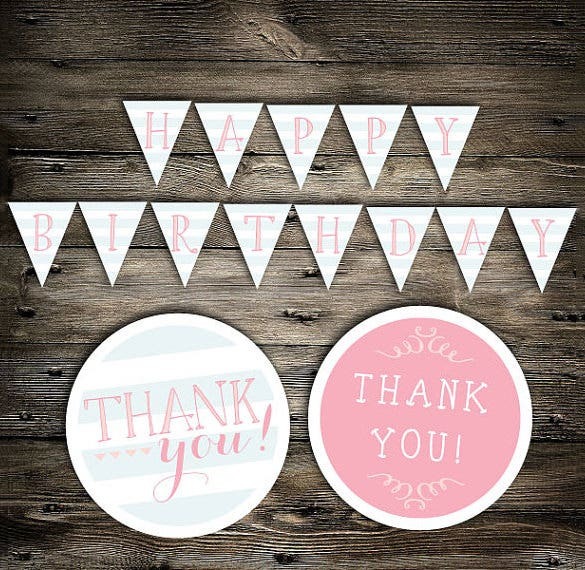 Here’s an example of a first birthday template – featuring cute animal, party and balloon details! 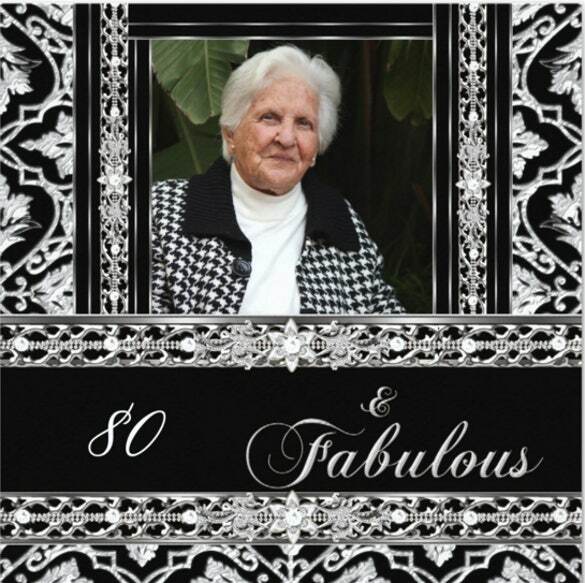 An 80th birthday invitation template example is usually sophisticated with both the design and picture. You will find them with elegant backdrops in rich colors and nice illustrations. 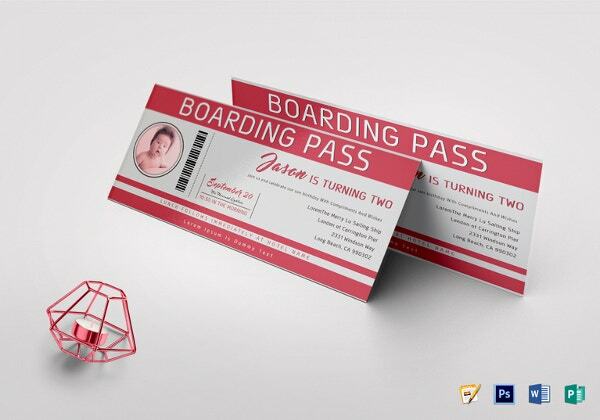 Some of them carry a vintage theme while some will allow you to insert a picture of the person from present day or from his or her childhood. Birthday surprises are a lot of fun. The sight of catching the birthday boy or girl unawares is the biggest win of the entire endeavor! 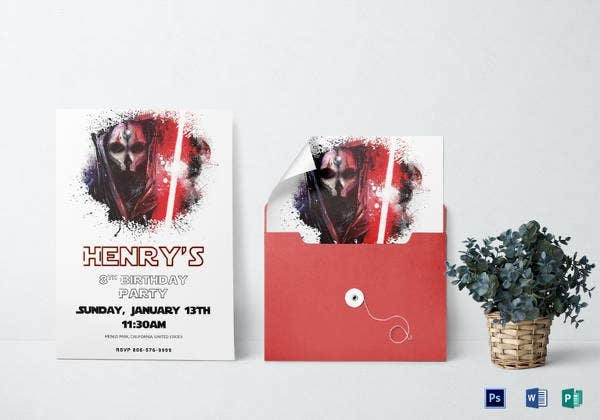 You could make use of a “Surprise Birthday Party” – or something similarly-worded – birthday invite PSD template. 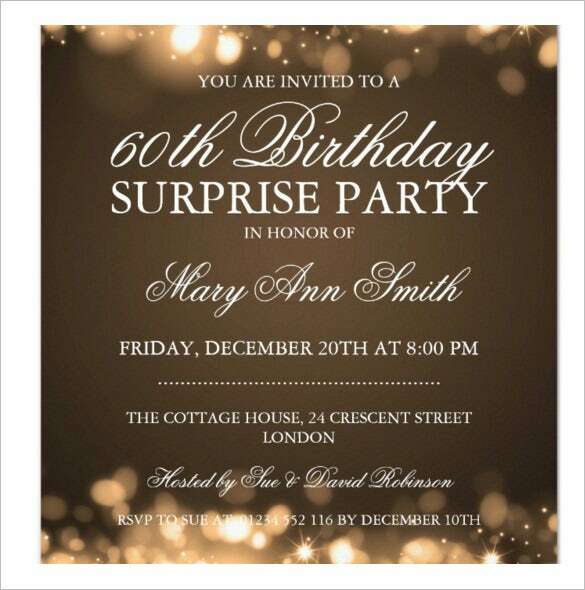 The greatest catch of course is that invitees do not spill the beans of surprise to the birthday boy or girl. It’s never a good feeling when you know you have a quick birthday party to plan and you also know you don’t have the time to design birthday invites. 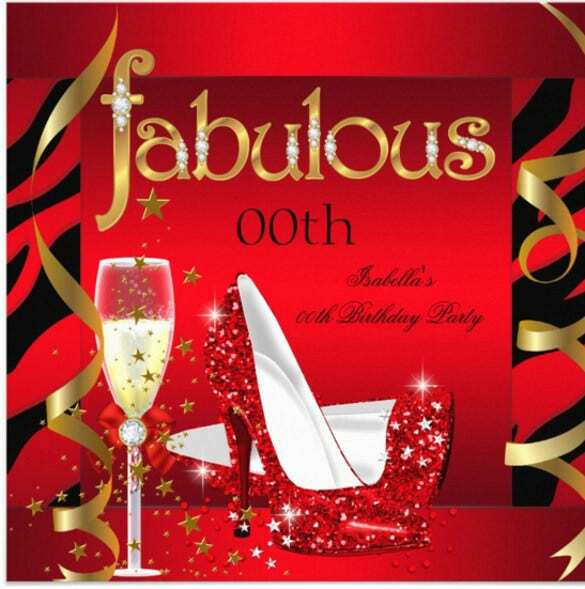 Well, thank God for ready made birthday invite templates available in abundance online. We have hand-picked some bests for you to choose, customize and use! 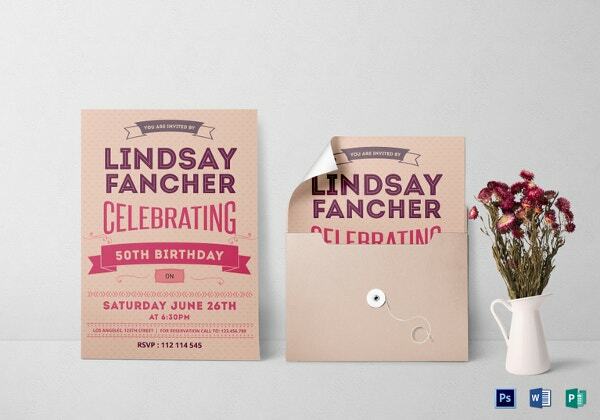 A lot of people panic when it comes to designing birthday invitations. They are at sea wondering what to do and how it is to be done. 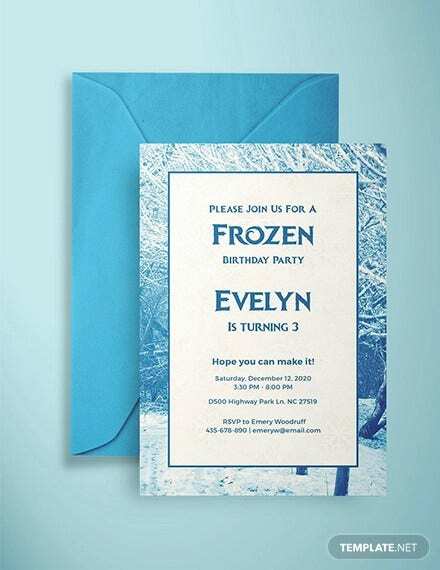 The availability of birthday invitation templates however, has ensured that people no longer face such pressures. 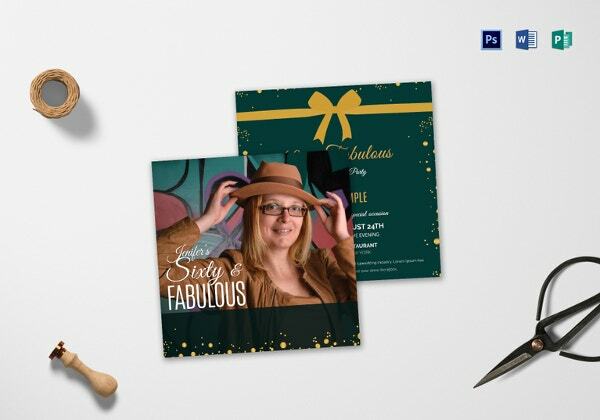 The templates are loaded with great design and customizable elements – easy to edit and print ready! The 18th year marks the stepping stone to adulthood and hence calls for a great celebration. 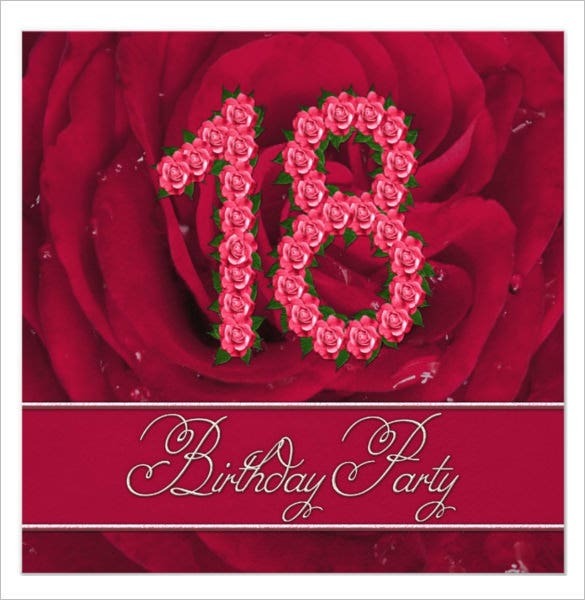 You will get 18th birthday invitation template example to design the special 18th birthday party celebrations. 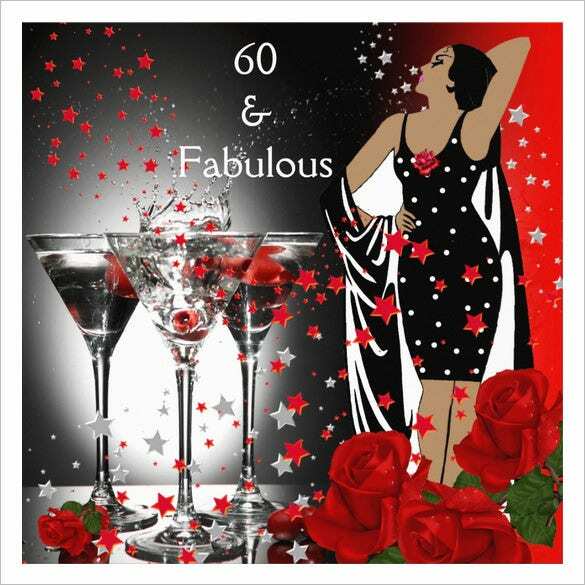 These templates usually carry a stylish glam design with sparkles, bold colors, stilettos, wine glasses, beer mugs LBD and other such youth icons. 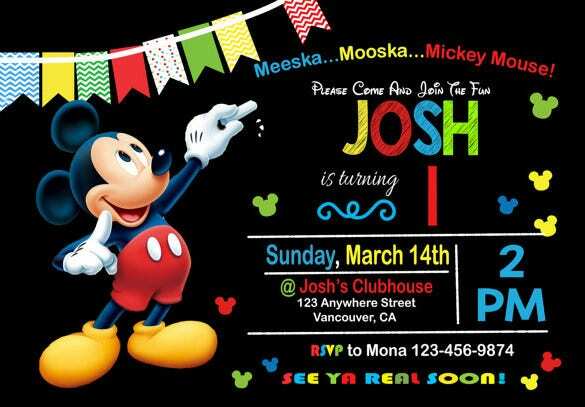 Mickey mouse is the unanimous favorite of every kid out there and it’s a wonderful idea to take to a Mickey Mouse clubhouse birthday invitation template sample to design the birthday invite of your child. 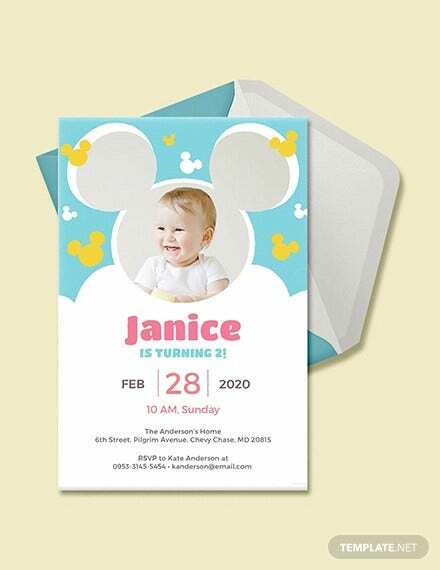 These templates feature Mickey and other Disney characters having great fun while some of them allow you to insert the picture of your child under Mickey’s ears. 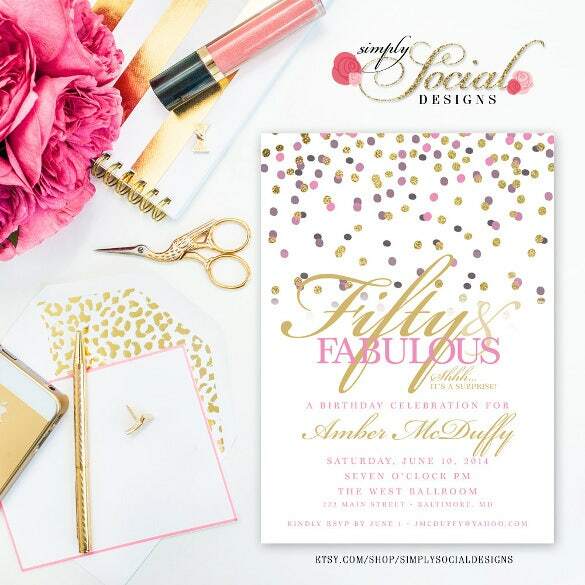 Birthday invites can be on the simple side or they can be even made elaborate with some effects and garnishes. You have a choice. 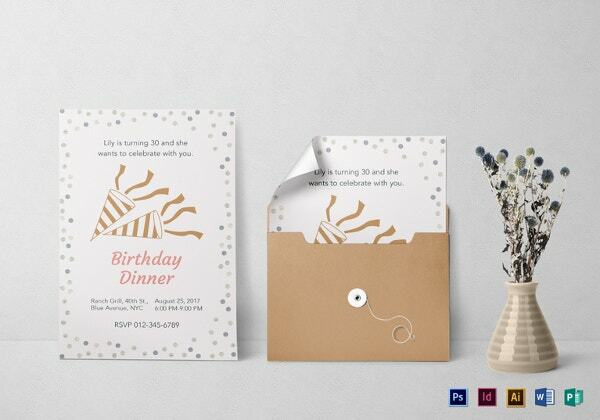 Different kinds of people prefer differently designed birthday invites. We have a slew of both types. Simple ones contain minimal text and design, whereas the elaborate ones have more artwork and details to flaunt. 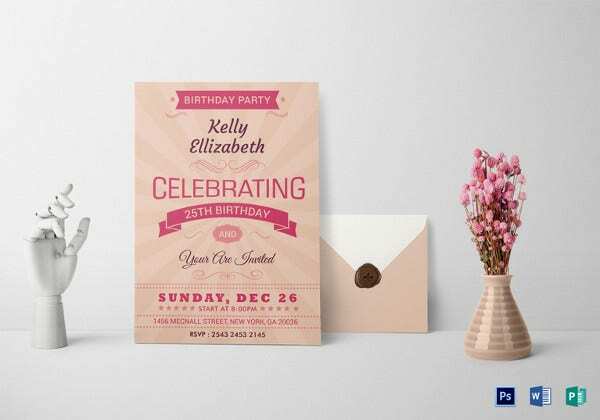 If and when you’re in a rush to make birthday invitations, you can always count on these ready-to-go birthday invitation templates – loaded with attractive designs and editable features – to help you accomplish the task easily. 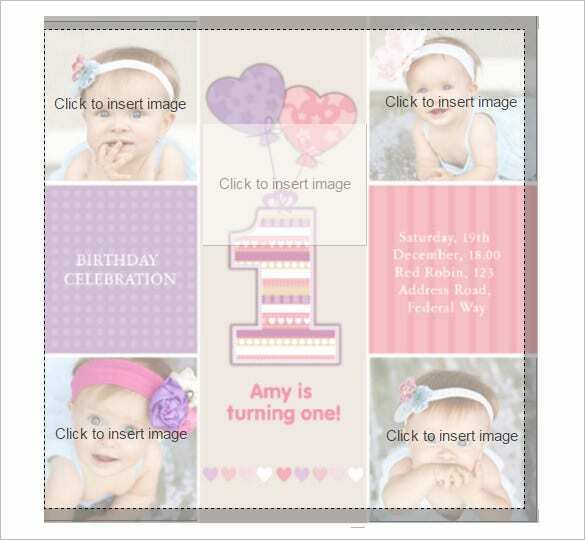 The templates have ample spaces for you to edit and insert images and text of your choice. During the course of a busy schedule, there always arises a desire to look at ways to enjoy life. For people thinking on these lines it just cannot get better if all near and dear ones get together and enjoy a cosy evening. It can perhaps take place on the pretext of celebrating someone’s birthday. It is a great idea and for someone thinking on these lines, there is certainly a need to plan a bit. It is not every day that one plans these sessions and if one has indeed planned a birthday party then one can plan it in detail. 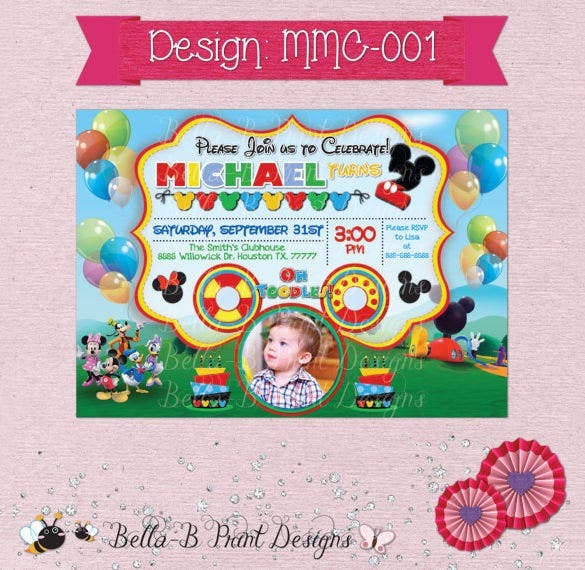 You can see also Micky mouse invitation templates. 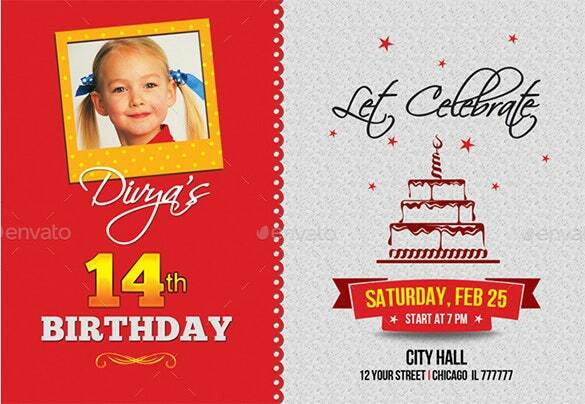 One of the key areas of focus will be to go prepare the birthday party invitation form or templates. 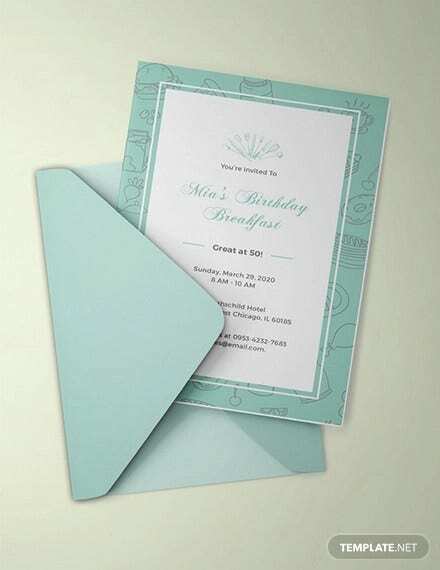 It is an important aspect as these cards, be it a boy birthday invitations or girl birthday invitations do create the initial impact in the eyes of guests. 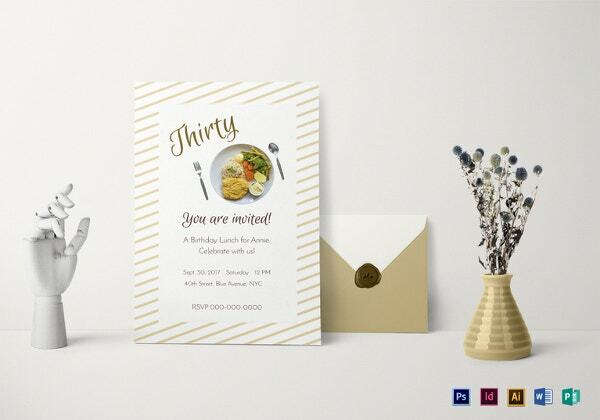 Let us discuss more on birthday invitation templates and its impact. 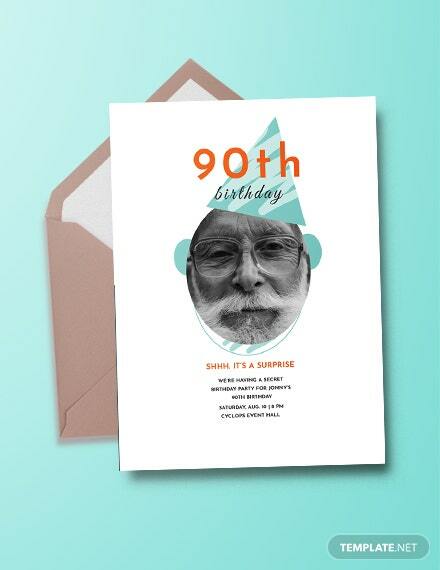 There is certainly a lot to gain for someone who is careful enough to choose birthday cards with care. 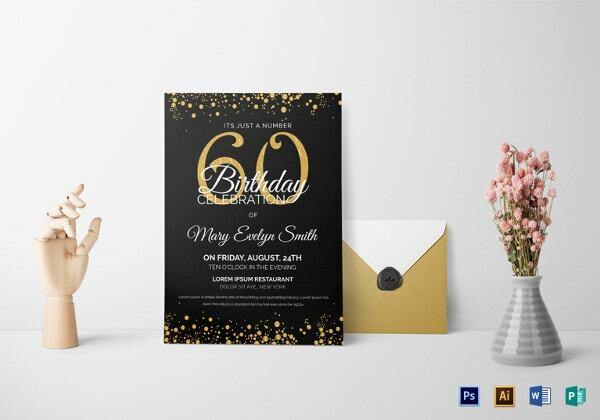 It is already been mentioned that a stunningly designed birthday invite template immediately attracts attention from receivers and your birthday party comes into focus. 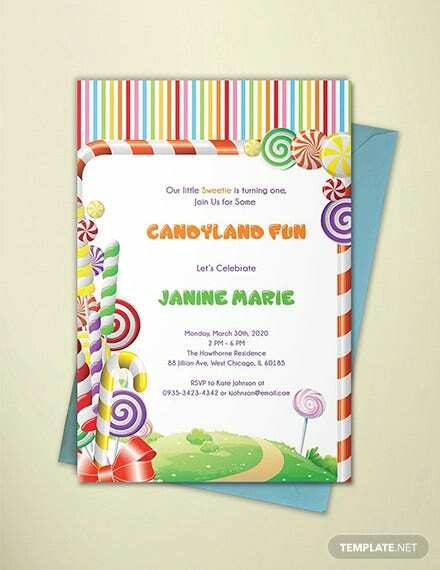 The birthday invitation templates are mostly available online under the free invitation downloads category. 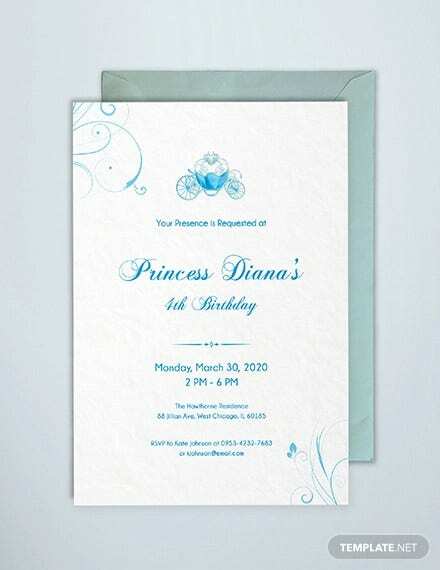 Hence, one can get access to plenty of wonderful birthday invites without having to spend a penny. 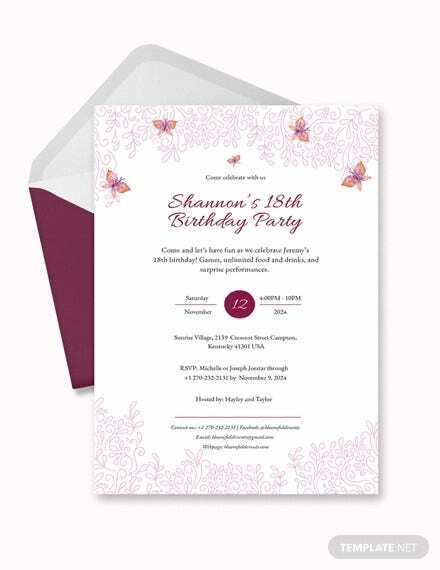 The presence of online but downloadable options under the birthday invitation category allows one to prepare last minute plans. Quite often a busy schedule may not allow one to plan in advance. It just cannot get better, if one stumbles upon such online alternatives. 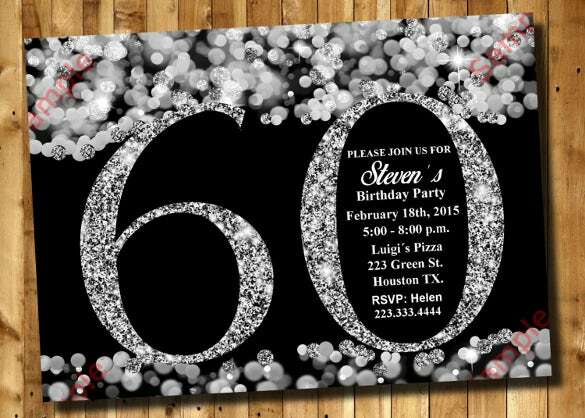 Download an idea birthday template invite and send it via the email. 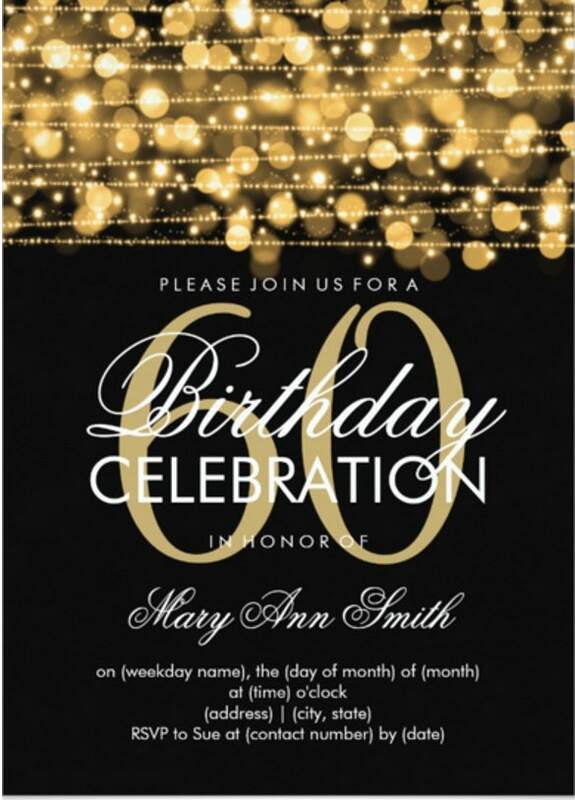 You can see also birthday invitation email templates. 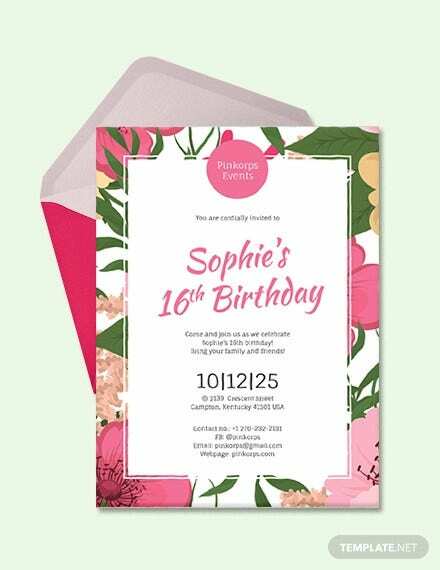 Hence, there are plenty of reasons why the birthday invitation templates are growing popular by the day. 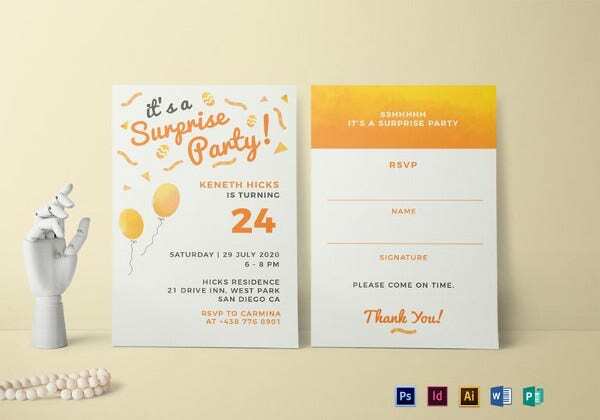 Now, with the advent of various free download party invites available, going Google in search of these templates is certainly the best option. Hence, from the confines of a cozy room, one can surf the net and that should lead to plenty of sensational and great looking birthday invites. The Google browse in search for wonderful birthday invites should certainly throw up plenty of interesting variety. 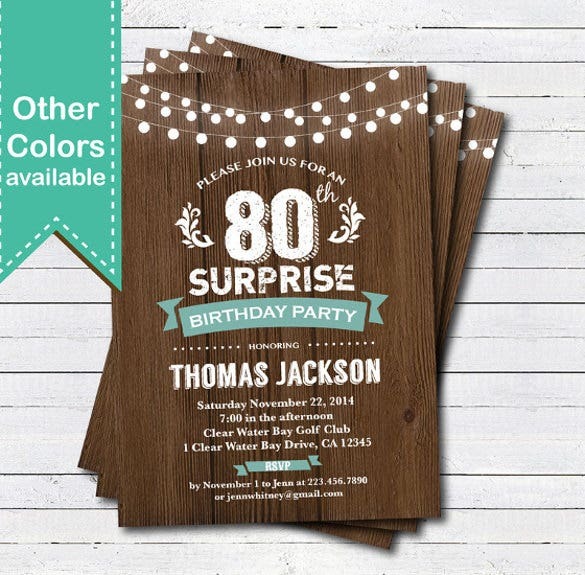 One can get to choose between a Wild West invitation option or even probably a kid’s birthday invitation option. 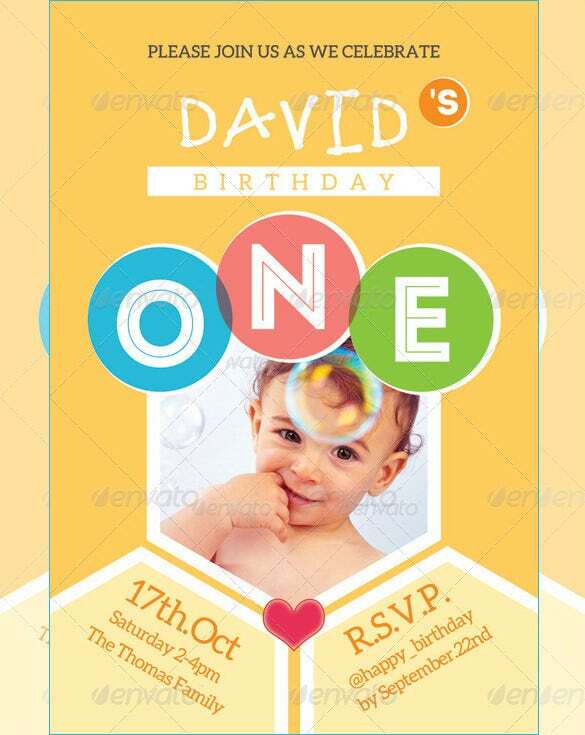 Most of these being free birthday invitation options, one can quickly download. However, it is free but that certainly does not mean that you download anything, which you come across. There is certainly a need to dig deep and look into a few issues. Hence, let us discuss on these lines. A Google browse should leave one with plenty of options. However, it is important that you create an immediate impact on the minds of the receiver and it is for this very purpose there is a need to look into a few basics. Let us discuss the points in brief. One of the key areas, which you need to select, is the age of the birthday boy. 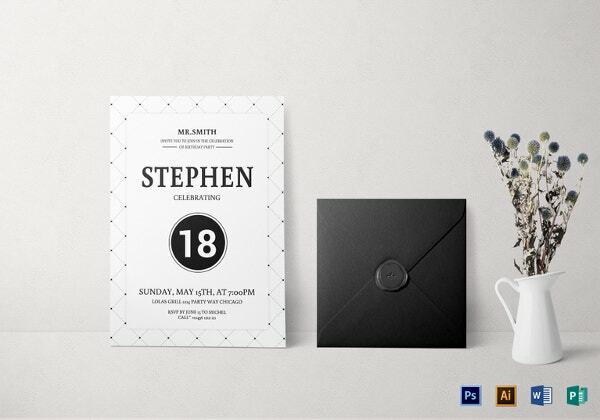 Is it a 1st birthday card invitation or an 18th birthday invitation template? If it is for a kid’s birthday party email template then it becomes essential to go for decoration style where there might be plenty of cartoon creatures. On the contrary the preferences may be completely different for any 18 year old boy. Coloring certainly plays a key role in any decorative set up and it is certainly no different here. 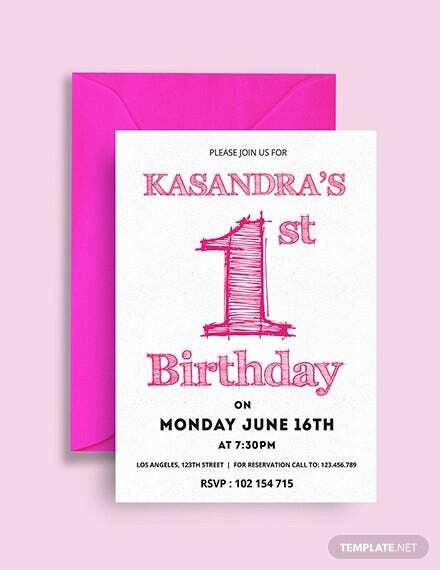 Check out the various colour combinations and then opt for a printable birthday invitation template, which has a catchy feel. Is it an editable option? One may perhaps want to check out on this fact. It is a busy corporate schedule, which hardly leaves anyone with time. 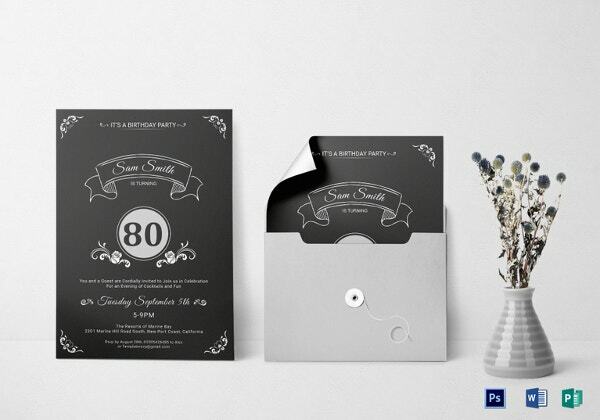 Hence, it within a short span that one may have to send these invites. 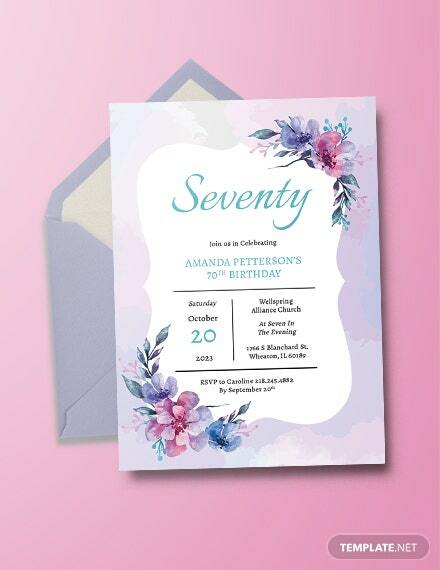 During sending these invites there may be mistakes and only if the birthday invite online template has an edit birthday invitation free option one can undo the error with ease. 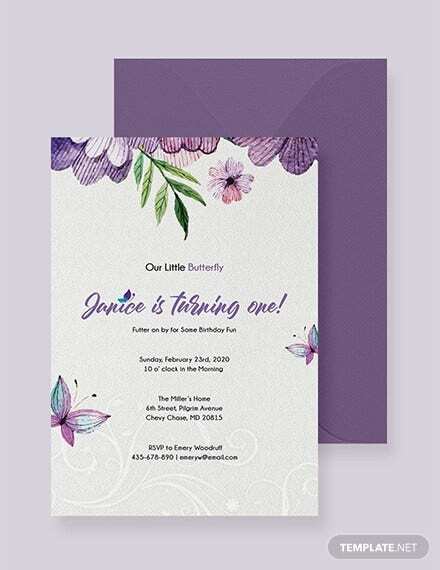 Other than the color one can even stress on the designs as a catchy email design invitation is bound to attract focus.In short one can say that in order to attract instant attention, it is essential to download a birthday invitation email template, which is attractive and attracts immediate focus. Following these above mentioned guidelines will certainly help you to stumble upon something, which should make your birthday invite the talk of the town. There are enough options available online and one will need to pick up something out of the ordinary. 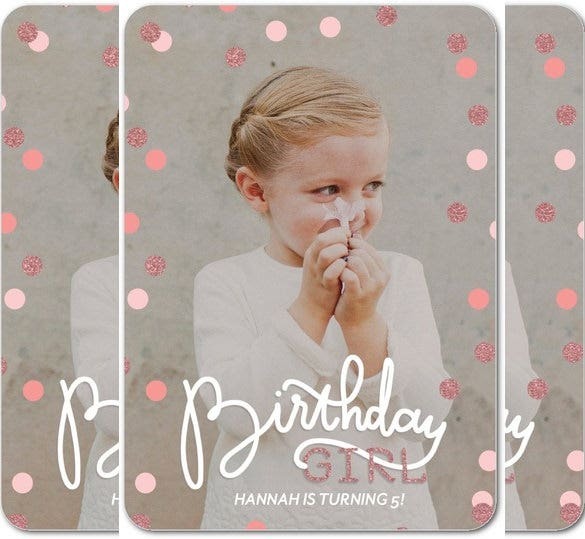 > Why Not Visit the Stores for Sensational Birthday Invites? It is the advent of computer graphics and internet that has allowed us to take life easy. One need not have to rush into a crowded store to fulfill every need. 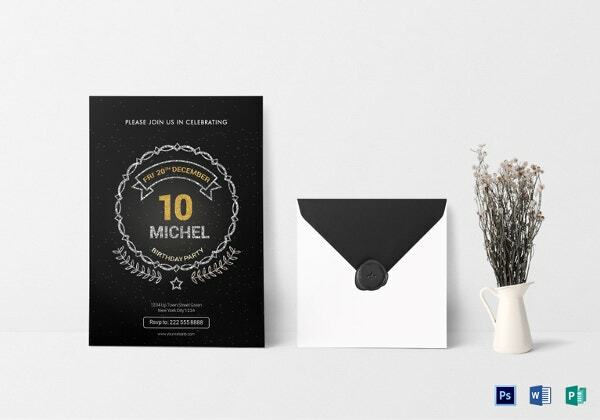 There are plenty of products available online and so are these birthday invites. The advent of online purchase options certainly allows one to explore more variety. Sitting in a cozy room and at one’s own sweet time, one can get into the details and scout through the variety on offer. This would never have been possible on a physical visit to the stores as an extensive detailed search means, one will have landed himself in a mess. Moreover, it is only via an online website, where one can avail the option of a free download. This is certainly not the case for stores as they are here to do business. 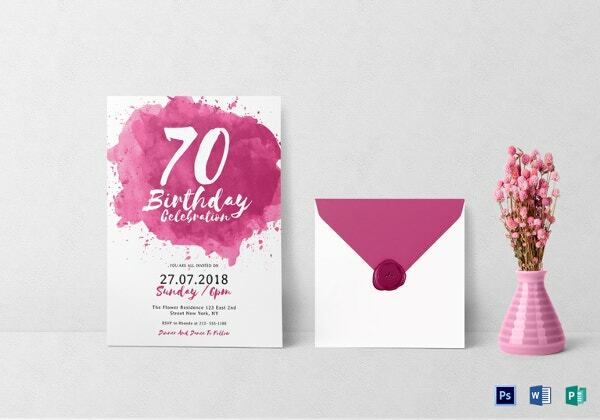 We on our part have looked to offer you some wonderful birthday invite templates, which are great looking and certainly bring your invite template into immediate focus. 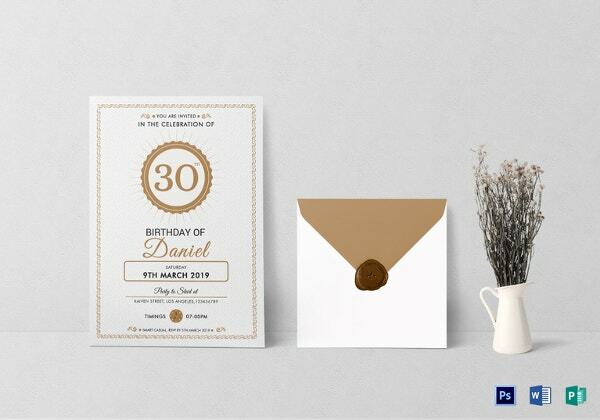 The point to note is that we do not rest on laurels and our design team is on forever research mode and looking at ways to make sure that your birthday invite is indeed the talk of the town.